Low Hours – 0.6 hours run. 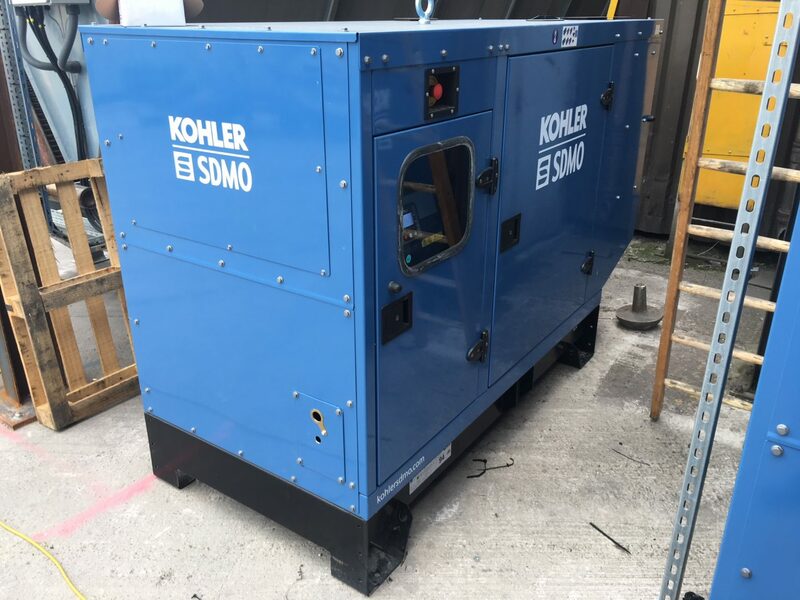 SDMO J88K Canopy Diesel Generator Set – very low hours – ordered in error. The SDMO J88K has been designed for either industrial use or standby use. It is ideal for home and office backup or single phase site work. It uses leading edge technology and is designed for regular, intensive use, that is powerful and quiet. Prime Rating PRP: 64kW/80kVA, Standby Rating ESP: 70kW/88kVA – 127A Standby rating. 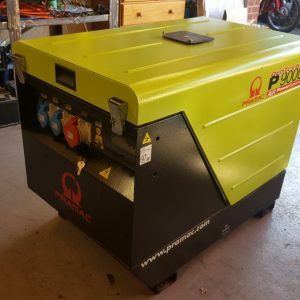 Powered by a JOHN DEERE 4045TF220 1500rpm mechanically governed diesel engine and coupled to a Kohler three phase AVR alternator, this generator is very reliable, quiet and produces a clean power suitable for powering sensitive equipment. The generator benefits from a 180L bunded tank giving the following consumptions, @100% load 19.5 L/hr, @75% load 14 L/hr & @50% load 10 L/hr. This set is very quiet, with a fully soundproofed canopy that keeps the accoustic levels down to 64dBA @7m or 94dBA LWA. The J88K uses the APM303 Control Panel which is a versatile unit that can start the generator in manual or automatic mode. It offers the following measurements: phase-to-neutral and phase-to-phase voltages, fuel level, active power currents, effective power, power factors, Kw/h energy meter, oil pressure and coolant temperature levels. The generator also has a internal battery charger to allow the set to be left in Auto mode.